This beautiful new book is now available! The Symbols of the Spiritual Teaching, previously only available in German, is now available here! This new edition contains a collection of 624 symbols of the spiritual teaching, which includes 24 new symbols, as well as 6 color symbols. All symbols are cross-referenced in a German-to-English and English-to-German index. 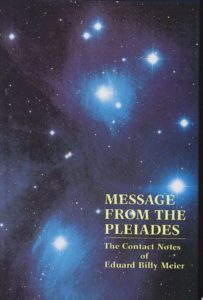 If you received this link from me or another interested person, it’s because you’re involved in some way, as a scientist, journalist, concerned citizen, etc., working on, writing or worrying about, the very underestimated dangers of incoming NEO (Near Earth Objects) and specifically asteroid Apophis. 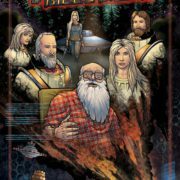 Stunning New Corroboration of Billy Meier UFO Case! In another “new discovery” by scientists, objects long presumed to be asteroids are in fact fragments of a mini-planet that “would have had features similar to Earth and Mars like a crust, mantle and core” – corroborating exactly what UFO contactee Billy Meier was told by extraterrestrials…in 1953. A new video by Rhal Zahi clearly illustrates the real dangers of asteroid Apophis impacting the Earth in 2036, if an international effort to deflect it, as recommended by the Plejaren extraterrestrials, isn’t launched. So far, NASA has all but ignored the real threat that Apophis poses. As I commented here, Billy Meier and the Plejaren long ago warned us of the danger of incoming objects, specifically asteroid Apophis (the Red Meteor). Certainly it’s good news that finally there’s more interest in doing so, especially on the part of the major laggard, NASA. Wow, Good Thing No One’s Read the Henoch Prophecies!